A special gift for any enthusiastic golfers! 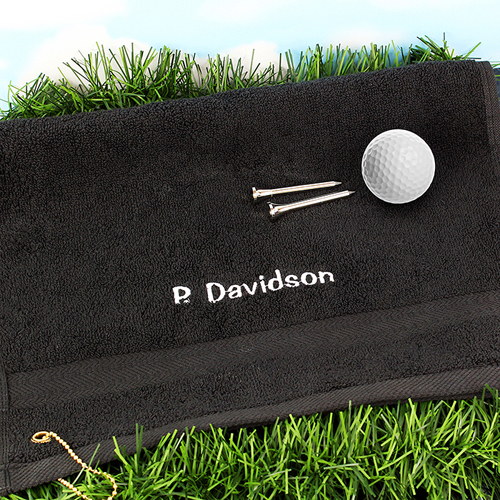 This soft and luxurious golf towel can be personalised with any name up to 12 characters in white. This item may be available for next day delivery. Personalise with any name up to 12 characters in white.